Cultures collide when a Western journalist takes the slow road to Hokkaido. After a few years of teaching in Japan, Will Ferguson set out to do the unthinkable--hitchhike the length of the country, from Cape Sata in the south to Hokkaido at the northernmost tip. He follows the erupting front of cherry blossoms as they burst into bloom in a seasonal ripple that tantalizes the Japanese psyche each spring. Like a cross between Spalding Gray and Dave Barry, Will Ferguson sets forth with thumb outstretched to race the mystical blooms northward. He starts from a small metropolis where the local gardeners dust their petals because a nearby active and threatening volcano steadily sprinkles everything with ash. He is picked up readily along the way, and is even taken home by a driver who feeds him and helps plot out the best route. The tipsy host offers his best geographic advice and then a railroad ticket. The thought of hitchhiking so many hundred of miles is too unnerving, even for an appealing henna gaijin (weird foreigner). It is a journey full of adventure and the humor that is inevitably created when very different cultures collide. 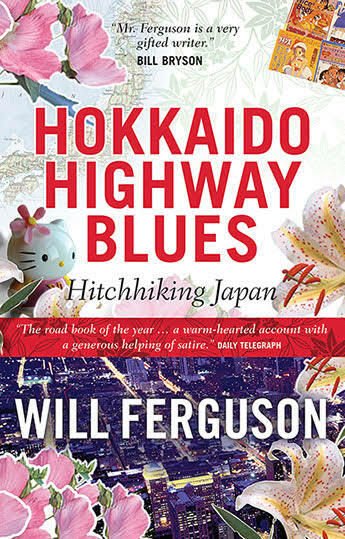 Ferguson renders the encounters with wit, generous goodwill, and great hilarity.